and options before and after Bankruptcy. Mortgage Company Won’t Talk to You? Are You Exhausting Savings and Retirement? Are You Experiencing High Interest Rates? Thinking of declaring bankruptcy? Get the basics on discharging debts and learn about the different types of bankruptcy. Learn how Chapter 7 bankruptcy qualifications, filing information and how it differs from Chapter 13. Learn how Chapter 13 bankruptcy qualifications, filing information and how it differs from Chapter 7. Contact Sherry Ellis Law, PLLC today for your free bankruptcy consultation. Locally owned and operated for more than 15 years. An experienced bankruptcy attorney can assist you in finding a fresh start. Contact Sherry Ellis Law, today to begin your journey to a new beginning. 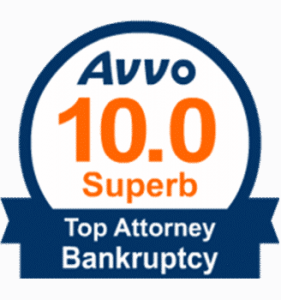 We run Bankruptcy-focused practice. We know bankruptcy law and practice it every day. We know all the local rules and specific requirements of the Florida trustees and judges. Bankruptcy is complicated. We know how to do it right and make bankruptcy process simple and stress-free for our clients. While our past work cannot serve as a guarantee of the successful results in any of the future cases, our clients’ referrals of friends and family members to us and 5-star reviews at Google and other review sites serve as the best testament to the quality of our work.